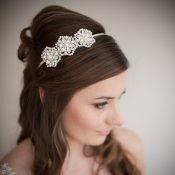 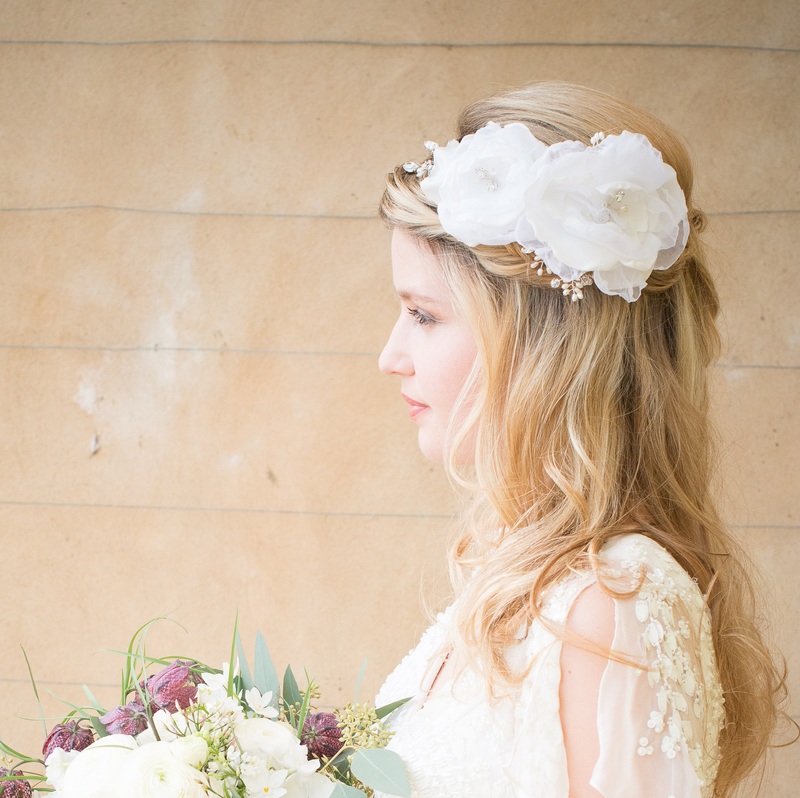 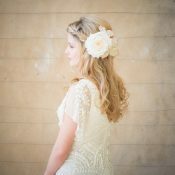 Utterly stunning vintage inspired bridal headband, the Flora flower bridal hairband features handmade silk flowers (crafted from scratch in our studio) with sprays of organic pearls, Swarovski Crystals and a dusting of diamante. 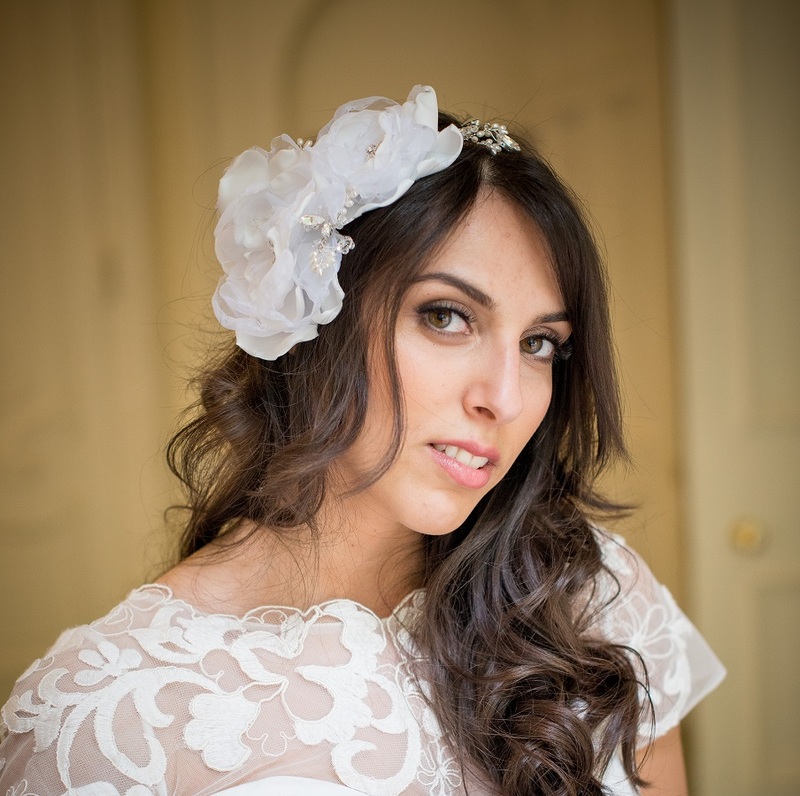 Despite it’s statement appearance, the Flora Flower Bridal Headband is surprisingly versatile – it can be positioned as you would a traditional tiara giving the look seen in our main image, or it can be worn as a headband giving the impression of the flowers ‘floating’ in the hair. 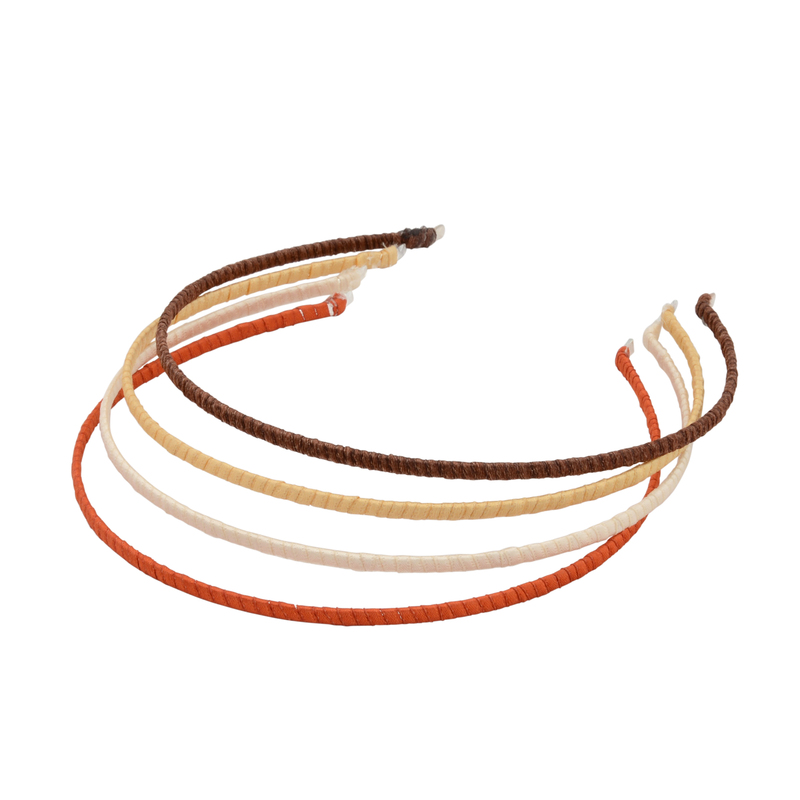 Band available wrapped with pearls or ribbon wrapped in blonde, red, light brown, ivory or dark brown ribbon. 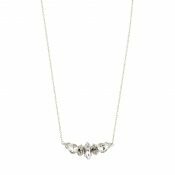 Please select your choice from the drop down box. 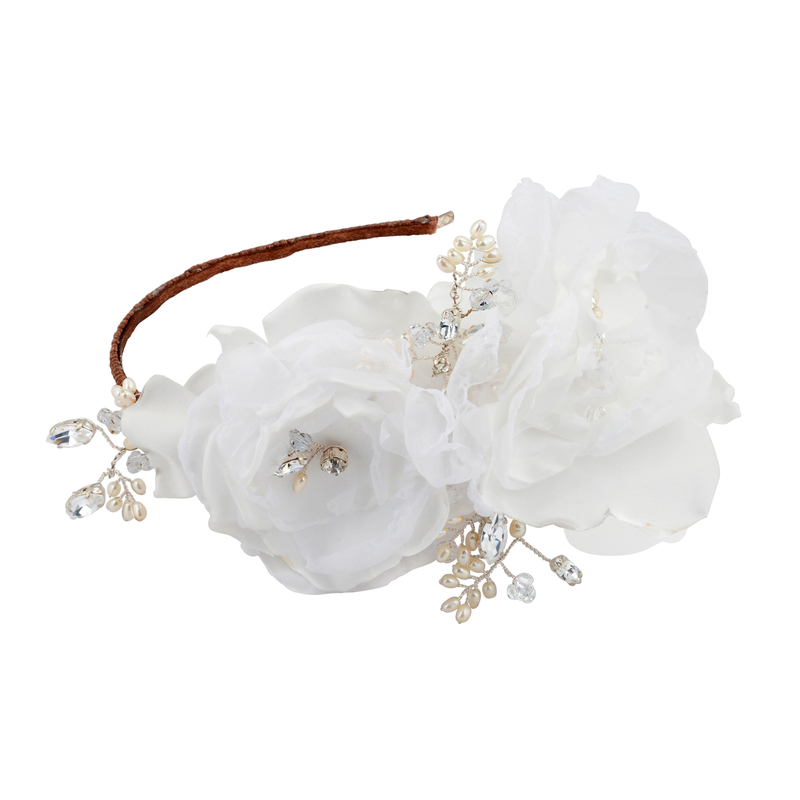 Be the first to review “Flora Flower Bridal Headband” Click here to cancel reply.